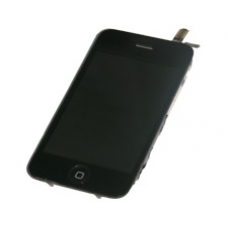 This is a complete drop in replacement screen assembly for the iPhone 3G, including the iPhones LCD, touchscreen / digitizer layer, home button circuit, earpiece, light / proximity sensor. rubber seal and accelerometer.This is an ideal iPhone 3G complete screen replacement if more than one fault exists on your iPhone relating to the screen / home button / earpiece. * Includes Complete LCD screen, Touchscreen, Home Button, Earpiece, Proximity Sensor, Rubber Seal and Accelerometer.